I was intrigued when offered the chance to visit Prosecco country, the area of Italy in the hills north of Venice and Treviso, where the towns of Conegliano and Valdobbiadene mark the limits of the DOC Prosecco area. This is home to what is currently one of the world’s most voguish wines: sparkling Prosecco. Invited by the Consorzio of Prosecco Conegliano-Valdobbiadene, I would be visiting several of the top estates, but my interest was particularly piqued by the chance to participate in a blind tasting of Prosecco wines as part of an annual celebration called ‘Vino in Villa’ held at the beautiful Castello di San Salvatore. My view of Prosecco had always been that these wines were generally all much of a muchness, with the fruity Prosecco grape fermented into frothy, crisp and citrussy wines with clean, gentle flavours but no great complexity. “Icing sugar and lemons,” was the handy phrase I’d coined to describe almost all Proseccos I’d tasted over the years. But before I could taste the wines the first surprise, came when I met with Franco Adami, current President of the Consorzio, who told me that sweeping changes were about to be made in Prosecco. First, the current DOC area of Conegliano-Valdobbiadene was about to be upgraded to DOCG. Next, a much larger area around this would be classified as DOC, encompassing many vineyards which previously could classify only as IGT (a change roughly equivalent to one of France’s Vin de Pays areas becoming an Appellation Controllée). In a further surprise announcement, the Prosecco grape itself is to be renamed. 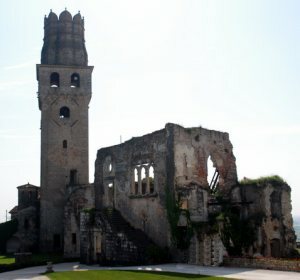 It may still be called Prosecco within the DOC and DOCG areas, but elsewhere will officially be renamed as ‘Glera’ – one of its historic regional names.On the face of it, changing the name of the grape and expanding the area with official DOC status as ‘Prosecco’ may seem bizarre, but in fact it is a shrewd move by the Consorzio and Italian authorities to protect their historical and business interests. It is extremely unusual for a wine area to take the same name as its grape. Barolo is made from Nebbiolo, not Barolo, and Chianti is made from Sangiovese, not Chianti. As the popularity of Prosecco booms, the authorities could see the obvious potential on the horizon for other Italian regions, other European countries, and indeed anyone around the world, to release Prosecco onto the market. 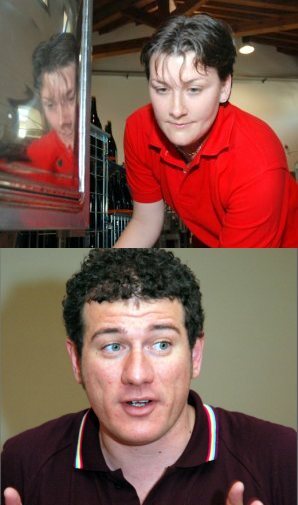 Australian company Brown Brothers has already done so. Whilst Prosecco may be a tightly defined geographical zone in the hills above Venice, how could anyone stop other producers putting Prosecco on their labels when it was also the name of the grape in the bottle? Whilst only those in the demarcated region of Champagne can make Champagne, as things stood, anyone growing Prosecco could bottle Prosecco. The changes, which will come into effect from this year’s harvest, should protect the integrity of the historic Prosecco zone within the EU at least, and force makers of sparkling wines made from Glera to use another name on the label. Rosé Prosecco, a blend of Prosecco and other grapes, normally Rabosa, will also be outlawed. 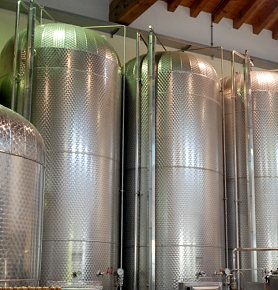 Prosecco is usually a non-vintage wine and almost always made by the Charmat, or ‘tank method’, where secondary fermentation is not in individual bottles a la Champagne, but in large steel tanks known as autoclaves, which keep the wine under pressure. The idea is to capture the fresh fruitiness of the Prosecco grape, and not to aim for the yeasty, gently oxidised autolytic character of Champagne. 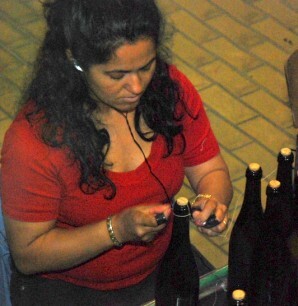 However, some producers are experimenting or already using different methods for some of their cuvées. But more on that later. Prosecco can be either Spumante, or Frizzante, the former fully sparkling at a minimum of 3.5 bars of pressure, with Frizzante at just 1.0-2.5 bars. Styles range from Brut (basically dry at less than 15g/l residual sugar), through Extra Dry (off-dry) to, confusingly enough, ‘Dry’ which is actually notably sweet with between 17 and 35 g/l of sugar. There is one special Prosecco terroir within the Conegliano-Valdobbiadene zone that is a separate ‘Cru’ and allowed to put its own name on the label: the hill of Cartizze. Renowned throughout the region, the 107 hectares of Cartizze are divided amongst 140 small growers, and its quality and rarity has made it one of the world’s most expensive bits of vineyard real estate, with a hectare costing one million euros or more. Profiles of several important Prosecco estates follow in part II, but first, to that blind tasting held at Castello di San Salvatore. This was my chance to discern if Prosecco really was as homogenous as I’d thought. Wines were poured blind in flights, and we were told only the category being tasted.My conclusions? Well the basically clean, “squeeze it and bottle it” nature of most Prosecco means there definitely is a tendency for wines to have very similar characteristics of aroma, flavour, texture and length. However the quality of terroirs like Cartizze undoubtedly shone through: especially, as I would find out, with those producers who acknowledge the hill as something a little special and make additional effort, most especially by cropping with lower yields. Other quality moves emerged during my visits too, to do with both viticulture and winemaking, that set some wines apart from the crowd. For me, the most exciting estate of my short tour was the one run by the Sorelle Bronca. The Bronca sisters, Antonella and Ersiliana, established their estate 20 years ago, to specialise in sparkling Prosecco from their 20 hectares of vineyard of old-vine Prosecco. Total production is 200,000 bottles annually. In day to day charge of winemaking is Elisa Bronca (right, top), Ersiliana’s daughter, though clearly winemaking consultant Federico Giotto (right, bottom) has a huge influence here. 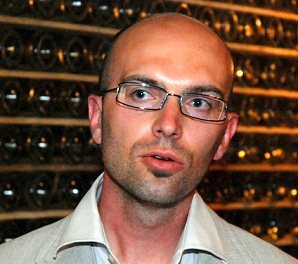 Federico works with three different biodynamic estates in Italy, and is always looking for little techniques and methods that can be used with other clients like Sorelle Bronca. His thoughtful, experimental approach extends to using many different yeast strains for fermentation that start working at different temperatures, including yeasts from the lager beer industry that will ferment at just five degrees. “Each gives different aromatic and flavour profiles.” he tells me. For their top cuvées Sorelle Bronca use a one-fermentation method, with no secondary fermentation. Harvesting very low at around 50 hl/ha (half the permitted maximum), grapes can be fermented without adding extra sugar (sucrose), only yeast. The must is held, chilled and under pressure, and yeast is added only as needed throughout the year, meaning each bottle on the shelf should be fresh – essential for Prosecco, which most producers make and bottle in one batch. UK agent for Sorelle Bronca is Indigo Wines. Franco Adami is one of Prosecco’s movers and shakers, as both President of the Consorzio and owner of this significant estate which produces 600,000 bottles annually and has been in family hands for generations. Franco explains that 40 years ago. Prosecco was a still wine, but a sparkling ‘revolution’ took off in the 1970s and has never looked back. We visited the Torre de Cardazzo vineyard (pictured), where spraying treatments on vines planted on very steep slopes requires a helicopter. “These vineyards are very hard to work.” says Franco, “It takes 140 hours for one man to cut the grass in just one hectare each year.” Some vines are 90 years old, and Franco tends to replant just one unproductive vine at a time, as he needs to keep production going. The hill is protected by the alps to the north, and the south-facing slopes enjoy moderate conditions with cool overnight temperatures. 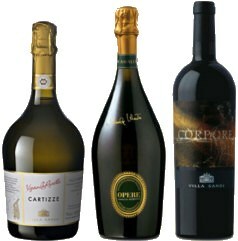 Adami makes three different base wines in December for their Brut, Extra Dry, and Dry cuvées, each of these base wines suited to the eventual style. They also bottle two single vineyard wines separately, the Rive Giardino and Cartizze cuvées. UK agent for Adami is Astrum Cellars. The Moretti-Poigatto family made their fortune in the shoe industry, as owners of the Geox company. Today, whilst his brother controls the shoe business, Giancarlo Moretti-Poigatto oversees this impressive operation based around the stunning 17th century Villa Sandi, beneath which 1.5 kilometres of underground cellars hold two million bottles of wine reserves. This is a big concern, with 2.7 million bottles produced annually, about two million of those being sparkling wine: one million of Prosecco and one million of Spumante from outwith the region. There are five winemakers on the team, and we were shown around by Stefano Gava (right), who explains there is also a big emphasis on red wines here. made from Bordeaux varieties. Villa Sandi has 50 hectares of its own vineyards and a further 250 on contract. They own one hectare of Cartizze, with another 0.6 hectares on contract. As with Sorelle Bronca, there is one long fermentation for the top Proseccos, with no “base wine” being made and then fermented for a second time with added sugar and yeast. UK agent for Villa Sandi is Playford Ros. This was a return visit to Bisol for me, as I’d been really impressed by the quality of their Proseccos when I visited in 2004. Bisol, a large producer with a 1.5 million-bottle total production, owns 120 hectares within the Prosecco DOC, but they also farm a smaller amount of vineyards on contract – around 60 ha. Ten hectares are farmed organically, six of those around their Duca del Dolle estate, are now farmed biodynamically. Winemaker Desiderio Bisol (right) now runs the company along with his brother Gianluca, and he led us through a tasting in less than ideal conditions – first in a very cramped tasting room which abnormally high early summer temperatures made uncomfortable, and then in their historic cellar which was a touch too damp and musty to accurately assess these subtle wines. One interesting – or potentially interesting – new product that was revealed is a ‘natural’ Prosecco, made without sulphur. Brand-named ‘Prosecco NoSO2’, I’m afraid it did not show at all well, and will hopefully have improved by the time it is bottled and shipped to the UK. UK agent for Bisol is Bibendum Wines. Though with its roots in Prosecco dating back to 1887, Mionetto is today part of the giant group Henkel of Germany, producers of sparkling Sekt and much else besides. The Mionetto family still has an involvement, and I was shown around by Francisco Mionetto, director of sales and marketing, along with winemaker Alessio de Savio. Mionetto is a négociant operation, that does not own vineyards. Instead, it cooperate with around 80 farmers, but “monitoring the vineyards very closely,” according to Alessio. It is a big producer, with around two million bottles of DOC Prosecco alone, and a total production of no less than eight million bottles of sparkling Prosecco – the other six million currently bottled as IGT. When IGT changes to DOC, yields will be lowered by one-third, but Francisco explains that new vineyards will be planted to regain a similar grape production. Some bottles are still hand-tied with string (right). UK agent for Mionetto is Moreno Wines. I did not visit the estate of Masottina in Conegliano, but I did have dinner with oenologist Adriano dal Bianco and tasted through their range of wines, including both sparkling Proseccos and dry white and red wines made from Chardonnay and Pinot Bianca, and from Cabernet Sauvignon and Merlot. Clearly there is a strong demand for Prosecco internationally, and the vast majority of the wine serves its purpose of being deliciously fruity, crisp, off-dry and light. It’s the perfect aperitif or wedding fizz, and the quality is reliable. The new rules on the DOCG, DOC and change of name of the grape from Prosecco to Glera should do nothing to harm the reputation of the Proseccos on the shelves, and indeed quality should be raised with lower yields and stricter controls. There are, however, peaks of quality within Prosecco that in many ways buck the norm of producing ‘correct’ and delicious wines of a consistent style. 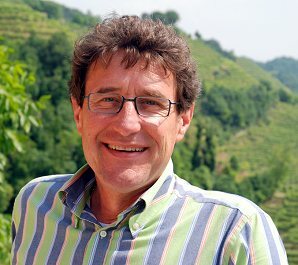 Those producers who farm the steepest slopes and understand their special terroirs, and who can ally this to really careful, inventive winemaking, are raising the bar for a small group of ultra-premium wines that are well worth investigating – even if you think you know everything you need to know about Prosecco.